I am Captain Corbin the magical pirate, and I perform fun pirate magic show s. I have been performing for over the past 25 years, at special events, schools and libraries. As a result I’m pretty well known and always draw a crowd. My shows are always family friendly, fun and interactive. However, I book up quickly so early contact is strongly reccomended. Pirate magic shows are a lot of fun. Family friendly entertainment with magic. 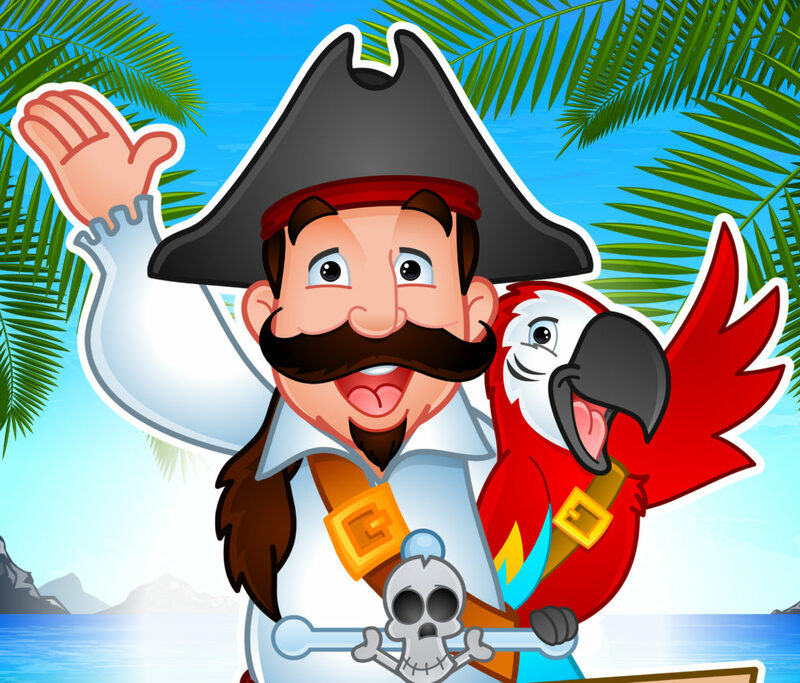 Captain Corbin is a slightly wacky pirate who is always looking for treasure, but often finds the treasure to be something other then silver and gold. Captain Corbin performs his Pirate Magic show s at libraries often. During those programs he often discovers the books at the library are the real treasure. Captain Corbin uses the children in the audience as assistants during the pirate magic show. They help the Captain out of trouble and help him realize what the real treasure is. As a result the show is interactive, fun and keeps the children’s attention. Captain Corbin the magical pirate performs his pirate magic show at special events, fairs, festivals and many other locations. In Ontario the Captain Corbin is a regular entertainer at the Great Wolf Lodge in Niagara Falls. You can often find him there on Fathers Day. 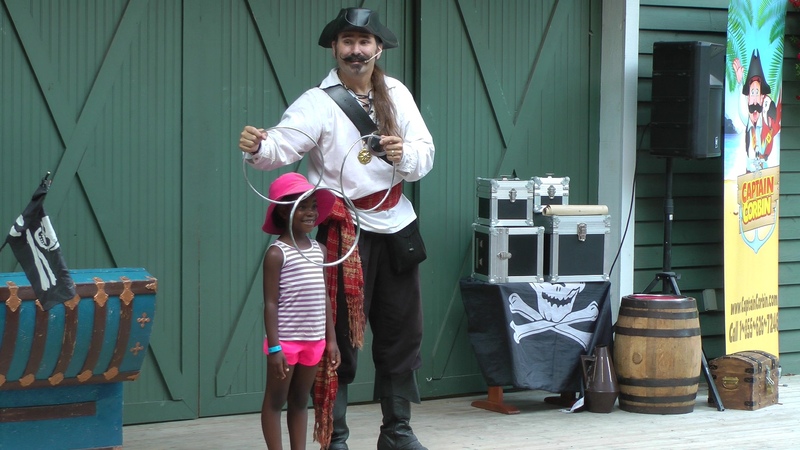 Throughout the summer Captain Corbin is the main entertainer at London Ontario’s Storybook Gardens amusement park. And the amazing Captain Corbin also hosts pirate themed boat cruises in Ontario’s north country. As a result, he is a busy pirate and contacting him early to book is highly recommended. I have been performing at family events for well over 25 years. As a result I’ve become quite skilled at entertaining. My shows are always family friendly and fun. Because I perform at schools, day cares, charities and the like I do all I can to ensure trust and safety in my performances. However, every year I obtain a police check. Also I receive a vulnerable sector check. These are very important for everyone’s safety. Copies of both certificates are available upon request after booking a show. Just let me know if you have any questions at all. Another certificate I have obtained is my independent contractor form from W.S.I.B. However I have received one before and doing it again is a simple task.